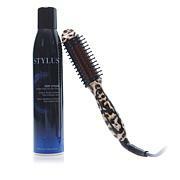 Thermal styling brush with a firm hold dry hair spray. 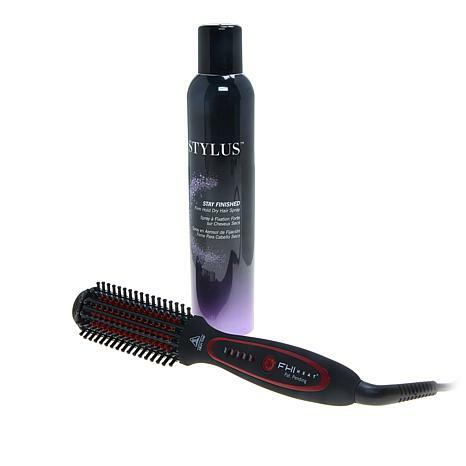 Plug the Thermal Styling Brush into an appropriate power supply. Switch the power button to the on position. 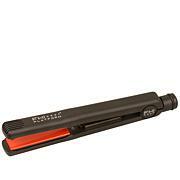 The button will light up to indicate the thermal styling brush is turned on. After use, turn the thermal styling brush off, unplug and cool before storing. Shake well before using. Hold can 6 to 8 inches away from hair and spray and style to set desired look. This tool is fantastic for my short pixie. Gives volume , shine and helps show off the texture of my cut. Greatest Hair Styling tool I own! When I first received this styling brush I was so excited! After the first time I used it, I was so disappointed! I have thin, fine hair that, as I've gotten older (early 50's) has gotten more coarse. I refused to give up, there were so many wonderful reviews about this tool that I just wanted to make it work! Now? I can't imagine NOT having it in my hair tool collection. It took time to learn how to use it but it was well worth the effort! I even have curls at the end of the day! LOVE this! I have many styling brushes. They are ok but this FHI Stylus is amazing. For the first time this brush does everything and more.Give this a try. I know you will be amazed! After doing hair for years professionaly Im now disabled. I can sit in my chair with no mirror and get a beautiful results. I have very thick wavy/curly hair and I can get it to look silky smooth. The trick for me is to section my hair into four sections and from there I take small sections from the bottom and work my way up. Combing each section with a small tooth comb. It works so much better than just grabbing clumps. Have some patience, its worth it!